It was September of 2003 that I brought my daughter home. "My daughter" . . . such beautiful words. It has been such a long hard journey. My daughter Emma was in Khabarovsk Russia - that is far far eastern Russia. It has been such a strange journey. I never intended to be part of an adoption agency. I started trying to adopt through an agency in Michigan. They accepted my money, and then did little else. The process seemed so complicated. Even though I am an attorney, and familiar with paperwork, I was overwhelmed and I wondered what this process was like for others. 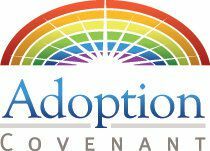 After much prayer and with the help of my family and dedicated friends, Adoption Covenant was formed. My application, and my money were still with the agency in Michigan. But, soon I knew it was God's plan for me to start over. So, in November 2002, I added myself to our list. Then I got the call. I clearly remember frantically trying to access the computer. My fingers wouldn't work and then I saw her picture. She was so very beautiful. I had known my daughter was out there but now I saw her face. She was my daughter. It was that day that I became a mother. For almost ten months, I worried that she was cold, she was not getting enough to eat, and that no one was holding her. It physically hurt that I couldn't hold her, couldn't protect her. I worried that everyday she was in the orphanage her ability to bond was being eroded as well as her potential for a successful life. I planned for her future, imagined her at Christmas opening presents, interviewed doctors, and checked into school programs. Family, friends, and even strangers prayed for her safety and prayed for her to come home soon. And then it happened. After almost ten months of heartache, many long plane trips, all of my savings, and almost a month in Russia, I am filled with an indescribable joy - we are a family. My daughter is home. The pain and worry have been replaced with giggles and kisses (and dirty diapers) and I have been witness to a miracle. It's ironic, if I had known more, I would have made sure I received a referral from a closer region or a faster region. But then, if I had known more, I would have missed my daughter. I would have missed a miracle. A man on one of my many flights asked me why I went all the way to Khabarovsk to adopt. Without even thinking, I told him quite simply, "that's where my daughter was."